Our first introduction to Lindani and his wonderful wife Linda was as friends. We met, found out we all loved chili and board games for a start, and a fabulous friendship blossomed. As PfaP continued to grow and we were looking for additional expertise, Lindani and his skill sets came to mind. 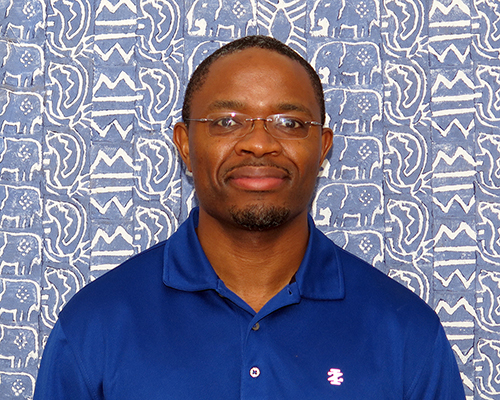 Lindani is originally from Malawi, Africa, but has lived in North Carolina since 2001. He currently works as a software engineer for Red Hat. He has been married for seven years to Linda, a drug safety epidemiologist. Having two kids under the age of five means Lindani has very little time for entertainment (unless you consider chasing a four year old around the neighborhood entertaining!). Lindani goes to Malawi once a year for a couple of weeks, and that is his favorite time of the year! Lindani has been helping out to ensure that they are no ‘dead’ links on the Pack for A Purpose website, and that inbound links from our partners point to the right pages. Lindani is also part of our “Technical Team,” assessing ways to keep our website effective, current, and user-friendly.